Stephen Charrier, President of Rollerblade USA, and Rob Gill, of InlineSkates.com, review the 2015 Rollerblade Tempest 90C Mens and Womens Inline Skates. Hey, welcome to the Daily Spin. I'm Rob from inlineskates.com joined today by Steven Cherrier - the president of Rollerblade. Steven. thanks for being here. Thanks for having me. Talking about a really, really cool skate in Rollerblade's lineup. The Tempest 90. It's really kind of the moving into that true performance skate. What's the first thing that really jumps out of you with this skate? The biggest change in the Tempest series Rob, is the lower cuff on the skate. So, if you look at this, it still has an articulating cuff on there but it is at a lower height so... And what does that provide for you? As you pick up your skating technique and you start to get into a longer stride, the lower cuff allows you to get a full, longer stride out of your skate for training skating basically. For sure. And then moving, one of the big things moving into this series is the carbon shell on the skate. It's true, the Tempest this year, this is the Tempest 90C standing for carbon, we've gone to a full carbon shell on this skate so it's going to be lighter and stiffer than basically anything out there on the market like this. For sure, and then what about the fit of the boot. It's real interesting. You can see by looking at the the fit that it has an asymmetric lacing system to it. Skating is a lateral sport - we're pushing off to the side like this. By having the lacing to the outside like that, we have more strength so the inner vamp of the liner in the shell in the skate giving you more power and basically transmitting energy better. For sure. And then talking about that power transfer - aluminum frame, 90mm wheels here. Yeah, so this is, yeah, it's an extruded aluminum frame, a really high quality frame. You have Supreme 90mm wheels, these are high rebound. High performance wheels. It's going to be a fast overall skate. This comes with the brake on it here so this 90mm, one thing about bigger wheels is frames get longer. At 90mm it's not too long so this skate still has some pretty good braking ability but it will give you that performance in your stride. For sure, so now, who would you gear the Tempest 90 to? The Tempest 90 is good for someone who, an athletic person who wants to get out and really start skating distances, training on this skate, maybe skating a marathon or some other event like that. But if you're doing 10 miles in training sessions, the Tempest 90's are a really good skate. Perfect. So, there you have. 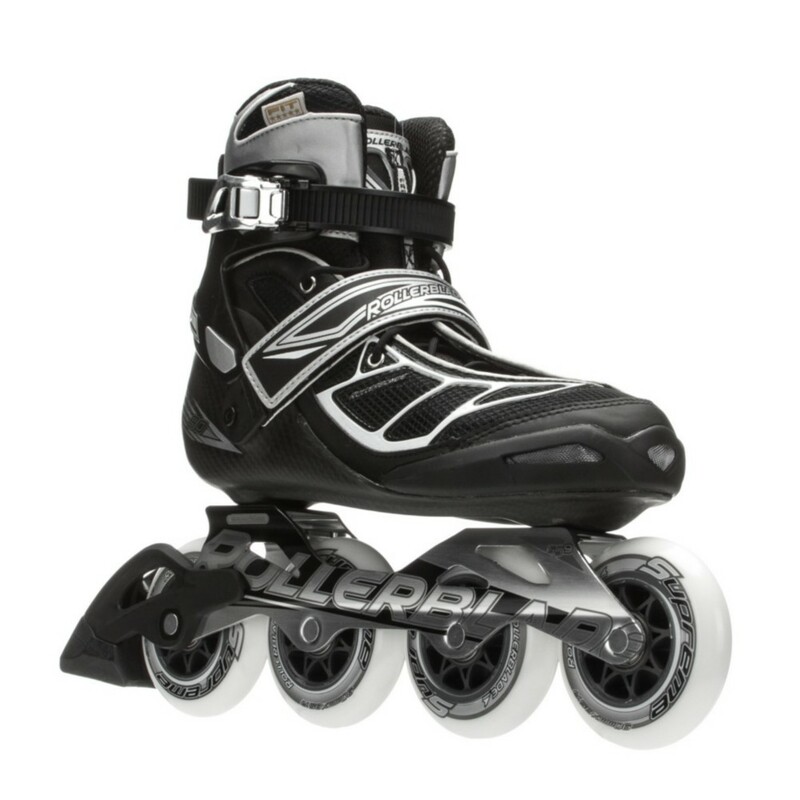 The Tempest 90C both men's and women's from Rollerblade. Thanks for joining us on the Daily Spin and you can check them out on inlineskates.com.